Why The EURUSD Should Fall, Why It Doesn’t, And What You Should And Shouldn’t Do About It. The following is a partial summary of the conclusions from the fxempire.com weekly analysts’ meeting in which we share thoughts about key developments worth a brief special report – this one on why the EURUSD has avoided plunging and a key lesson this brings up. Former US President Reagan was often described as the “Teflon President,” because despite his many gaffs or publicly embarrassing statements or factual errors, he remained popular, and ultimately revered as one of America’s most successful Presidents. The phrase usually carried a bitter, frustrated edge when wielded by a press that mostly viscerally disliked his conservative outlook, and which diligently reported these public faux-pas. There’s even a published collection of these gaffs, Reagan’s Reign of Error. The phrase could be applied to the EURUSD. 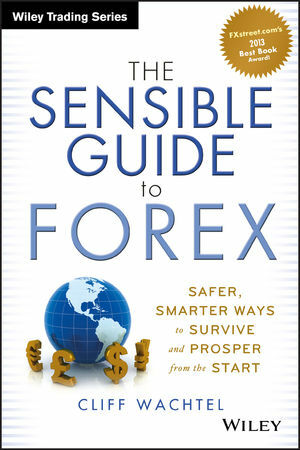 The fundamentals are so stacked against it, every forex writer is bearish on it (with the usual heavy qualifications because who really knows, given the degree of unpredictable political forces overriding its supposed fundamentals), yet it defies expert predictions and thus far has held its ground in recent months. Based on its outlook for the coming years, the EURUSD should not be in an 18+ month uptrend and sitting in the middle of its trading range of the past 5.5 years. It fails to successfully meet any the commonly accepted four basic criteria of an optimal monetary union first described by economist Robert Mundell and so theoretically shouldn’t succeed. Openness with capital mobility and price and wage flexibility across the region: Bureaucratic, legal, and other obstacles, particularly strong unions with strong political backing, limit this. A risk sharing system such as an automatic fiscal transfer mechanism to redistribute funds to economically weaker areas, typically via taxation redistribution to less developed areas. This has been THE big obstacle to the EU’s near term survival – as demonstrated by every attempted bailout and risk sharing program. Aid, when given, is usually as one-time only loans theoretically meant to be repaid, not as outright gifts. The recent SRM deal meant to provide lender of last resort and central bank regulator in fact provides neither. The main reason is that EU nations simply don’t see themselves as anything close to a single political or cultural entity, because they aren’t. Thus too many member states are unwilling to cede control over their banks. Nor is there widespread willingness to cede national control over who decides their financial liability in bank or sovereign bailouts, either as donors or recipients required to accept spending cuts or taxes to help repay the aid or insure it isn’t needed again. Participant countries have similar business cycles: No, one central bank policy does not fit all members. Germany and a few others are growing, while many others struggle and are in deep recession. This has led to some proposing a two (or more?) zone EU. Nothing in the EZ’s experience thus far suggests the above theory is wrong. The sovereign debt and banking crisis remains an existential threat, and has been held together only by lending electronically created funds (perhaps not technically money printing per se) to those who can’t pay their current debts. All EZ banks are more prone to systemic crises anywhere in the EZ due to the new private sector bail-ins, which encourage large depositors, lenders, and shareholders to flee at the first sign of possible trouble. See here for details. As part of the implementation of the SRM, most large EU banks are supposed to be rigorously stress-tested. That has caused banks to cut back on private sector lending (already in decline for years as discussed in depth here) and conserve cash in order to reduce riskier assets on their balance sheets. This in turn has exacerbated a growing deflation problem that presents a new threat to the EU’s economy. In recent weeks, GIIPS assets have risen even as their risks did too. See our special reports, Grand Delusion, and this week’s update on it (yes, there was enough to fill another article), for details and links to more in depth coverage on the latest EU craze – paying more for risky assets that are becoming riskier and yielding less than ever. The EURUSD’s uptrend since July 2012 remains intact, even with bouts of weakness in the past months. We’ll look at that in detail below. Even small retail traders have gotten the message. Forex Factory’s real time sample (~400 traders) of small retail trader EURUSD long/short positioning (average holding period 8 weeks) shows they’re now nearly evenly split between long and short EURUSD positions. As you can see from the chart below, for the past 2.5 months they were about 36% long/64% short the pair, based mostly on expected USD gains as the Fed tapered while the ECB held steady or eased further. This is the most bullish EURUSD positioning since the November 6th. Despite all the talk about how the EURUSD had to head lower, as Marc Chandler recently wrote, US interest rates are still not appreciably higher than those of the Euro, and the Fed balance sheet is still expanding while the ECB’s is not. The pair tends to move with risk appetite. Using the S&P 500 as gauge of overall risk appetite (see here for why), note that the weekly chart of the index has not retreated, but been essentially flat. That doesn’t boost the EURUSD, but doesn’t encourage a pullback, either. The taper will bring some degree of rising US bond yields, and risks a rate spike (good for the USD, bad for stocks) if the Fed mishandles its forward guidance communications or US data surprises strongly to the upside. As for risk appetite, its direction, and that of the major indexes, is too big a topic for this post. For details on the current outlook for that and the rally in risk assets, see our post on Lessons for the Coming Week, Part 1, in which we discuss the latest arguments for and against the continuation of the rally in stocks and other risk assets. The EURUSD’s resilience highlights a few important lessons. The primary reason the EURUSD hasn’t moved is that the anticipated higher USD bond yields and benchmark interest rates have not yet materialized. For a variety of reasons (see Chapter 6 of my book, for details) the primary driver of currency prices is interest rates and interest rate differentials between currencies, both current and anticipated. In other words, during times of optimism, higher rate currencies will tend to appreciate relative to those with lower benchmark interest rates. In times of fear, the opposite happens, and lower rate currencies appreciate against the higher yielders. For a shorter, more basic explanation of how and why relative interest rates are a key driver of currency trends, see here. That said, on a day-to-day basis, the USD continues to move with taper expectations, which in turn move with the latest comments from FOMC voting members, those who claim to know what they’re thinking, or data that is believed to influence the FOMC voting. For example on Tuesday the USD began moving higher after Monday’s hawkish comments from two FOMC voting members as well as from solid US retail data that beat forecasts. So for short term EURUSD traders, if you watch fundamentals at all (most are purely technical or algorithmic traders, which is logical for those with holding periods counted in minutes or hours), no changes, keep watching anything that influences sentiment on the taper, EU, or overall risk appetite. The lesson from the strength in the EUR over the past months, and the more recent rally in GIIPS sovereign and bank bonds, despite their apparent (and probably ultimate) toxicity is simply this: no matter how compelling the fundamental story, we don’t establish positions until the actual price action and whatever combination of technical signals we use to confirm trends tell us we’re betting in the direction of either and established or likely emerging trend. Similarly, you need to have established criteria (stop loss or technical signals) for when you exit an investment or trade that has turned on you, regardless of how sure you are that it will come back. In sum, NEVER fall in love with your brilliant theories of what “must” happen based on your understanding of the fundamentals. Pros set their entry and exit criteria based on specific price and technical guidelines. Even simple ones (like set trailing stop loss at 8%) are better than nothing. These guidelines won’t maximize profits. Preset stop losses will at times take you out of an investment or trade just before it moves back in your favor. That’s fine. The goal isn’t to be a market timer, most people can’t do that. The first rule for most of us is to keep losses small. This is just one of many must-know simple RAMM (risk and money management techniques) that anyone managing their own investments must know and practice. You can see a free overview of some of these from my book here using the “Look Inside” feature on my amazon page. Just go to Chapter 5 for the full coverage, then Chapter 7 for trade examples. Just knowing these, and the basic fundamental and technical analysis skills needed to implement them, puts you miles ahead of most private investor/traders (as well as many of the pros).